It was Fall of 2004 when I first fell in love with a band called My Chemical Romance. They had just come out with "Three Cheers for Sweet Revenge". I heard "I'm Not Okay" and just instantly got hooked. I remember seeing the first version music video. I was totally into them. Then, they came out with the second version music video for that song which made me so excited. I mean, preppy school uniforms? Really? Awesome! I bought their first album right away and all I listened to were these two albums. The sound was so grand. The band was so theatrical and cinematic. It was everything I loved about art. When done right, there's nothing more exciting to me than amazing visuals and sounds that come together: the video, the imagery, the uniforms, the look, the style, the voice, the shredding, the story of the album, the epic sound, the energy, the concept. I don't care much for the emo kids and if people judge the band or their fans. 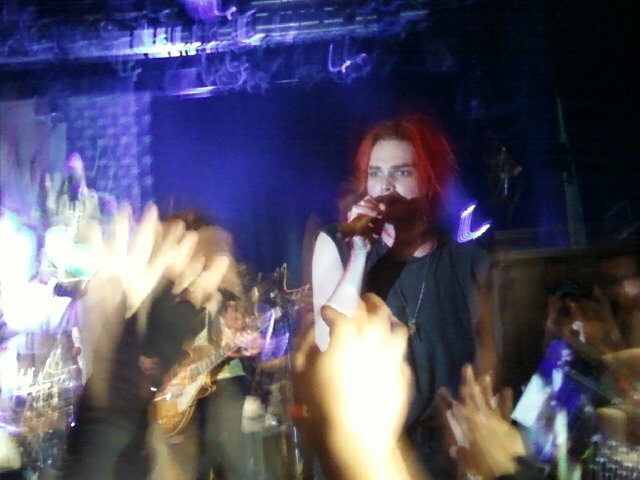 Gerard Way is amazing. He is my muse. He inspires me as an artist so much. So, I first saw them at the Wiltern, sadly from the second floor, October 2004. 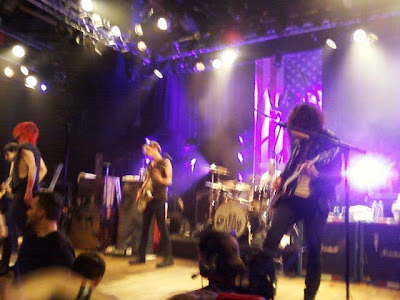 Then, I saw them at the AP Anniversary show at the HOB Sunset where The Like and The Transplants played and MCR headlined in May of 2005. I still remember that day so clearly. What I wore, the feeling in my heart as I walked down Sunset from the parking lot to the venue. The music video for Helena was perfect. Marc Webb and MCR at their finest. Another thing I love about them is that as dark as they can get, it's such a beautiful darkness. It's never any gore. When I first discovered this band, I was at such a difficult time in my life. They helped me through. Black Parade was awesome as well. But I didn't get to see them during this tour because they were just so huge, they only played huge venues. And you know, I just don't do those. Then, when I saw the video for "Na Na Na", I got extremely excited again. They really did not disappoint. Very excited with the Killjoys and the direction they took. They just keep getting better. But I still love each album for what they are. "Demolition Lovers" never gets old. I can vividly see scenes for the music video in my head for that one. Oh, and they were totally into vampires way before the Twilight craze. We went to the record release show at the HOB Sunset! It was such a deja vu moment. HOB is notorious for their strict camera policy and the tickets even said "No Cameras". So, stupid me, I didn't bring my camera. Whatever. Thank goodness my buddy brought a camera. Thanks for the pictures! I took some pictures with my phone. 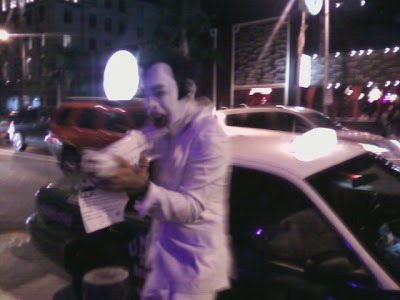 While we were standing in line, two guys dressed up as Draculoids were walking up and down the sidewalk. That totally got me pumped. I'm such a sucker for concepts and ideas and great execution. Yes! After freezing our behinds off in line, we finally made it inside. We were standing towards the back of the floor section. When the show started, I totally left my buddy and made my way in. It was so much fun dancing and going crazy. I made it to like fourth row by the end! They started with Na Na Na and then went into Not Okay and we all pretty much lost it. It was super fun. Outside, they had a "fair" going on. Where you can play games and win fun stuff. They also gave out free snow cones and popcorn. They had the costumes, props, and the Trans Am from the music video on display. Seriously, the best record release party ever. New album is so good. I totally recommend. The record release show was broadcast live on MTV.com. You can see it again up on YouTube. I'm somewhere in there in that crowd. Awesome. Now I'm gonna go dye my hair red. i get really dry skin too in winter i hate it! Start a new life. See how it goes.